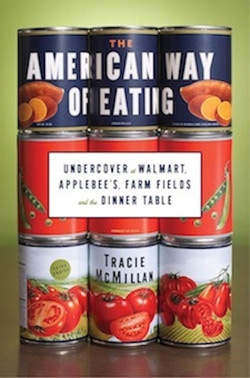 A working-class transplant from rural Michigan, Brooklyn-based writer Tracie McMillan is the author of the New York Times bestseller, The American Way of Eating: Undercover at Walmart, Applebee’s, Farm Fields and the Dinner Table. Mixing immersive reporting, undercover investigative techniques and “moving first-person narrative” (Wall Street Journal), McMillan’s book argues for thinking of fresh, healthy food as a public and social good — a stance that inspired The New York Times to call her “a voice the food world needs” and Rush Limbaugh to single her out as an “overeducated” “authorette” and “threat to liberty.” In 2012, Whole Living magazine named her a “Food Visionary,” building on her numerous appearances on radio and television programs, which range from the liberal “The Rachel Maddow Show” to the “tea-party favorite” Peter Schiff Show. She has written about food and class for a variety of publications, including The New York Times, the Washington Post, O, The Oprah Magazine, Harper’s Magazine, Saveur, and Slate. In 2013, The American Way of Eating was awarded a Books for a Better Life Award, a publishing industry touchstone which recognizes excellence in books that carry uplifting messages; and was a finalist for a Goodreads Reader’s Choice Award; an International Association of Culinary Professionals Food Matters award; an Investigative Reporters and Editors Award; and a James Beard Journalism Award (considered “the Oscars of the food world”), as was a feature on farm labor that McMillan wrote for The American Prospect. McMillan moved into writing about food after a successful stint as a poverty and welfare reporter while working as the managing editor of the award-winning magazine City Limits in New York City. While there, she won recognition from organizations ranging from the James Beard Foundation to World Hunger Year. 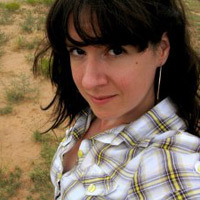 In 2013, she was named a Knight-Wallace Journalism Fellow at the University of Michigan, a year after she was named a Senior Fellow at the Schuster Institute for Investigative Journalism. By going undercover as a farmworker, grocery clerk and line cook while living and eating off her wages, and using that narrative to investigate America’s food and the system that produces it, Tracie McMillan brings intimate observations of daily life in America’s working class to bear on the American diet. McMillan takes readers on a tour of life — and meals — at the bottom of the economic hierarchy. She introduces us to garlic pickers and produce managers, line cooks and cereal aisle stockers, and describes how she and her fellow low-wage workers eat. In the process, she reframes our national conversation about food. Her reporting debunks the stereotype that eating well is purely an elite preoccupation. She argues that healthy food, like clean water, is a basic public good and human right. In The American Way of Eating, McMillan has achieved something rare: A compelling work of narrative journalism that looks at the world from the bottom up. She fills in the picture with top-notch reporting, and gives readers a rhetorical framework to begin to think about the world differently.